From slots to pull tabs, bingo to Blackjack, we’ve got everything to make Grand Casino a gamer’s paradise. Sign up for our Grand Rewards program and start earning and redeeming points for awesome benefits. Play your favorite games to earn entries in our monthly promotions for your chance to win amazing prizes! Book your stay at the Grand Casino Hinckley Hotel for the ultimate gaming getaway at one of the largest casino hotels in the state of Minnesota. Located right next to the casino gaming floor, it’s the perfect home base, with access to the Grand Harmony Spa, five delicious restaurants, and superb golfing at the Grand National Golf Course. 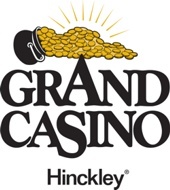 At the Grand Casino Hinckley Hotel, there’s a little something for everyone.